We live in a world which is horizontal but frankly, cats living is not limited only to the horizontal side. Cats make the complete use of a vertical and horizontal aspect of the environment. In fact, they prefer more to be on the vertical areas for better comfort and safety as well. To provide your cat with the unlimited option to have their own territory with vertical alignment can be quite important for their happiness and that is the main reason why having a cat tree can be quite a lot helpful to you. With a good cat tree, you will actually be able to give your cat the much-required space as and when it wants to have. Your cat requires the better perch with high level. So when you have more than one cat at the house then it is good to have a cat tree. 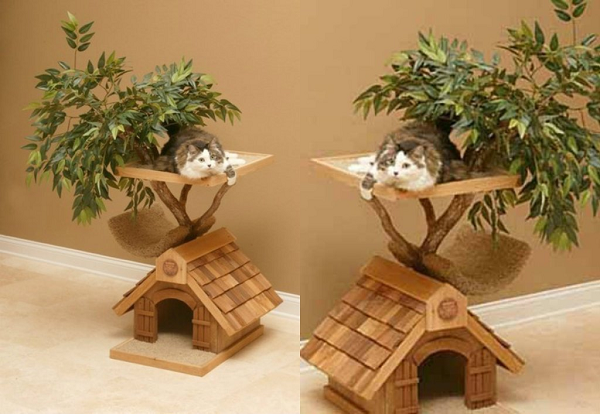 While looking for the best cat trees for the large cats or the smaller ones, it is important that you know how well they would be using it. Whether they love to take nap the most, prefer playing around, or scratch themselves in the free time, it all depends on their taste and accordingly you need to buy the house matching their needs. If there is a timid cat in your house, then a cat tree can offer a safe place for it to say and feel secured. If the perch is an elevated one then cat also gets visual benefits from where it can enjoy watching the environment with better security and great fun to do. With a cat tree, your cat gets a better vertical territory since it offers a chance for them to have close space at the same time maintain any kind of peck order. Cats that don’t share the close quarters on the table or the windowsill can be easy enough to share the cat tree. Wit perches available at a different level, cats can come close enough but not next to one another that would make them uncomfortable in any way. When you plan to shop for a cat tree, consider the personality and size of the cat in mind. For large breeds choose the small or a flat perched based tree makes no sense. The cat needs to be extremely comfortable on the perch and should not even be worried about changing its leg on the side. Select the tree with perch that comes with the right size for your cat.